TENNESSEE companies and research institutions might be stepping-up efforts to secure patents, licensing intellectual assets and ensuring that such knowledge is commercialized within Tennessee businesses. During an impromptu Q&A with Venture Nashville Feb. 7 after an early-morning address to the Nashville Area Chamber of Commerce, Gov. Bill Haslam responded to a VNC request for his "personal, walking-around" estimate of where matters stand. The Governor indicated he thought the question was fairly framed and responded, "My personal 'walking around' sense of it is that we're making some headway," adding that while there may not be empirical data currently available to make such a determination, his Administration remains fixed on related objectives. 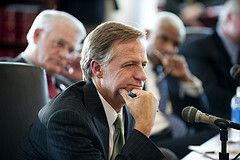 VNC's question was posed to the Governor in the context of remarks he made in May 2011, not long after his first Inauguration, when he told a venture-capital audience that the state's research institutions and companies needed to foster more R&D and create more enterprises driven by Tennessee-born ideas. Following that 2011 event, Knoxville News Sentinel Reporter Amy Nolan reported the Governor saying, in part, "'If we're interested in the bottom line, the bottom line is this: We can do better when it comes to commercializing our own ideas... We cannot expect to create high-quality jobs, and to move our state's economy forward, if we don't do a better job of capturing innovation that happens right here in Tennessee.'" Related tech- and knowledge-transfer and commercialization efforts have been underway for decades in Tennessee's public and private universities, the UT-affiliated UT Research Foundation, Oak Ridge National Laboratory and Tennessee businesses, among others. Addressing the same goals, in 1997 the Tennessee General Assembly passed and then-Gov. Don Sundquist signed into law an act creating the Tennessee Technology Development Corporation (TTDC), which has done business under during most of the Haslam Administration as "Launch Tennessee," and is a nonprofit agent of the Department of Economic and Community Development (ECD). Venture Nashville research has, thus far, turned up no recent data or econometric reports that reflect longitudinal evaluations of the State of Tennessee's progress on innovation and commercialization fronts -- but, there have been reports from independent sources. For instance: The State New Economy Index, published by the Information Technology & Innovation Foundation (ITIF). The report ranks states by a broad range of metrics, with considerable weight accorded development of intellectual property and commercialization. For 1999, ITIF calculated Tennessee's new-economy ranking as 31st among the 50 states. Fifteen years later (2014), ITIF ranked Tennessee 40th. TTDC/LaunchTN's first full year of operation was 1999. The think tank's next State New Economy Index is to be published this autumn, ITIF staff told VNC. More recently, ITIF reported that for each 1,000 Tennessee workers, 1.4 patents were filed during the period studied, versus the nation's 3.7 patents filed per 1,000 workers. During 2012-15, Tennessee ranked 37th in patents filed per 1,000 workers and ranked 41 in science, technology, engineering, math (STEM) workers as a share of total workers, ITIF reported last November. Launch Tennessee CEO Charlie Brock has at times been somewhat dismissive of such rankings. He recently told VNC he sees such rankings as too often built on input from reporting sources that is too old and too incomplete to be useful. In almost the same breath, Brock acknowledged that since joining TTDC four years ago he has learned first-hand the extreme difficulty of such data-gathering and analyses. In a series of interviews for this story, Brock several times recalled that his staff once expended a great deal of energy providing researchers data he believed had been missed by Pwc/MoneyTree in their estimates of investment activity in Tennessee. Brock told VNC he would "love it" if there were one or more reliable, consolidated comprehensive reports that provided closer-to-real-time guidance for state government and agencies such as Launch Tennessee. On Brock's staff, Jill Van Beke is director of Entrepreneurship and Innovation and Lindsey Cox is manager of innovation and commercialization. Launch Tennessee recently added analyst George Curran to its staff, initially focusing him on capital formation and inventorying related assets statewide. In a prepared statement provided Venture Nashville via ECD on Feb. 2, Brock said, "Launch Tennessee furthers the Governor's commercialization objectives by providing entrepreneurs and researchers programmatic and financial support, and intermediating between researchers and the market. Over the past few years, we have introduced several new initiatives that strengthen the relationship between our researchers, institutions, entrepreneurs, investors and industry. Commercialization is an important piece of Launch Tennessee's mission to foster entrepreneurship and make our state one of the most startup-friendly in the nation." In another statement, Launch Tennessee staff asserted, in part, "...LaunchTN has worked tirelessly since its inception to strengthen relationships among research institutions, universities, corporations and entrepreneurs to make the research ecosystem friendly to startups, including those commercializing technologies." ► Additional information provided by Brock and his staff on that theme is summarized here. Meanwhile, as VNC previously reported, Brock has said he'll ask the General Assembly this Session to change the original 1997 language of the statute by which TTDC's original tech-transfer and -commercialization-weighted mission was described, to better reflect the increased emphasis on promoting entrepreneurship and investment, rather than on commercialization, per se. Separately from ECD's budget request for LaunchTN, the nonprofit will on its own seek legislative support for expanded funding for microgrants and matches for applicants competing for federal SBIR/STTR funding. More here. 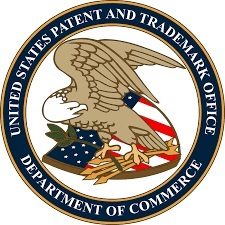 Notable: Two reports more narrowly focused on numbers of patent owners and/or inventors in Tennessee and other states through 2016 are due out early this year, staff of the U.S. Patent & Trademark Office told VNC in January. The most recent similar report on patent owners' locations (through 2015) is here. 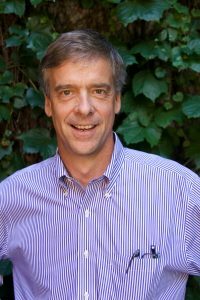 This reporter's coverage of these issues during the past decade or more suggest that the evolutionary shift of emphasis from tech transfer and commercialization toward heavier emphasis on entrepreneurship began within TTDC about a decade ago, and became more sharply focused early in the Haslam Administration's first term. Though entrepreneurship and investment initiatives and programs still seem to be collectively accorded higher priority at TTDC, initiatives established by the agency within the past 18 months or so seem to reflect fresh acknowledgement of the importance of proactively nourishing commercialization, as well. Though it's hard to tell, current TTDC/LaunchTN efforts may surpass those of previous years. Particularly since World War II, commercialization of institutional and corporate knowledge has been acknowledged as a key component in U.S. economic strength, with many acknowledging that while entrepreneurship builds businesses, commercialization of intellectual property can spawn entire industries. Perhaps ironically for Tennesseans considering such matters, the post-WWII push for discovery and commercialization was given major impetus by the 1945 report authored by Vannevar Bush, who led wartime federal agencies that oversaw the nuclear weapons-centered Manhattan Project.